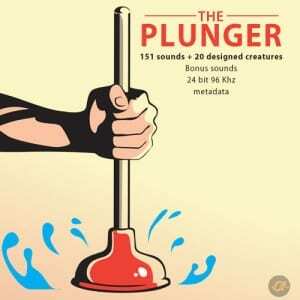 The Plunger is a set of 151 recordings (24 bit/96 KHz) using the plunger and a bucket filled with water in two locations (Room and Vine cellar reverb). Ideal for making watery/sea monster sounds. Twenty sea monster sounds are already included with the pack but you can definitely make more yourself. In addition you also get the dry version of he samples (we removed the reverb), body hits with the plunger and blowing bubbles with the straw. The reason for its existence is that we needed to create some watery monster sounds that sounded organic. Stretching the sound and applying some effects gave us the result we wanted. You can do the same and take it even further with your sound design skills. Get a collection of 150 whoosh sounds completely free when purchasing this SFX packs. Collection includes long, medium, short and ricochet type sounds which can be used for all purposes. 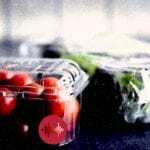 Usage of the sounds depends on you but we feel they are best used in a Sci-fi genre. All of the whoosh sounds have been created and processed at a 24 bit and 96 KHz.